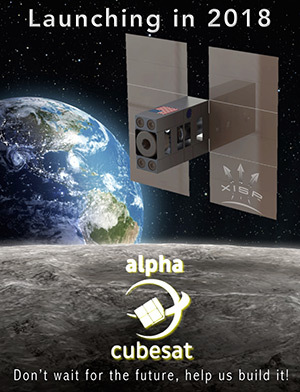 NSS has teamed with Xtraordinary Innovative Space Partnerships, Inc. on the Alpha CubeSat (ACS) Team, to compete in the NASA CubeQuest Challenge. The CubeQuest Challenge is an effort to stimulate the development of innovative propulsion, navigation, and communication solutions that will enable the use of cubesats for lunar and deep space exploration and development. The Challenge is composed of four Ground Tournaments (GT1-4), a Deep Space Derby, and a Lunar Derby. Cash prizes are awarded to the winners of these activities. For information on the CubeQuest Challenge, see www.nasa.gov/directorates/spacetech/centennial_challenges/cubequest/index.html. In addition to cash prizes, the Ground Tournaments are being used to determine which of the teams win one of three free launch slots on NASA’s first Space Launch System (SLS) Exploration Mission (EM-1), currently scheduled for the Fall of 2018. 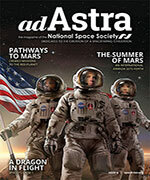 Although ACS is eligible to compete in the ground tournaments, the team plans to launch their spacecraft from the International Space Station (ISS) to deep space and then return to orbit the Moon. So the SLS launch makes no sense for them to use. Consequently Team ACS is focused on the Lunar Derby and Deep Space Derby, and is looking at alternatives to get the spacecraft to the ISS for launch from there. 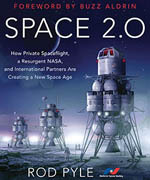 To date, no spacecraft has ever launched from the ISS to beyond low Earth orbit. So the ACS intention to launch a spacecraft from the ISS to Deep Space will set an operational precedent, thus laying the groundwork for follow-on use of the ISS as a potential launch platform to destinations beyond low Earth orbit. The ACS mission will then demonstrate both trajectories and technologies that will be useful in the development of space. After launch the ACS spacecraft will follow progressive, low-energy trajectories to reach a deep space distance of 4 million km (about 10 times the distance from the Earth to the Moon) before returning to the Moon and establishing itself in a lunar resonance orbit. While accomplishing this, the spacecraft will demonstrate a hybrid propulsion system consisting of ion, electric, chemical, and thermal thrusters. This will allow for maneuvers that require both high and low thrust capabilities, as well as providing a long duration, low thrust capability. The spacecraft will also demonstrate the use of a new Ka Band nanosatellite transceiver for the first time aboard a cubesat. Ka Band will be used for downlink communications to maximize data rates. The X band will be used for the spacecraft uplink allowing use of the NASA Deep Space Network. Given the plan to launch from the ISS, ACS expects the spacecraft to be transported to the ISS as manifested ISS commercial cargo. Team ACS intends to launch its spacecraft before the currently scheduled launch of the EM-1 mission in the fall of 2018. See the Team Alpha CubeSat website at http://www.alphacubesat.com for more detailed information about the project.